EDIT: I'm so sorry! I have unlocked the Monster Freebie! Please go down and grab it! Thanks! Whew! I survived. (Okay...barely.) I forget EVERY YEAR how worn out I am after the first day of school. I forget EVERY YEAR how little they know. But, I also forget EVERY YEAR how sweet they are. I forget EVERY YEAR how they think I am the best thing since sliced bread and they LOVE school! We had a FUN filled first 3 days!!! This year we did a monster theme for Back to School. This is the first year ever that I have done a monster theme instead of The Gingerbread Man. 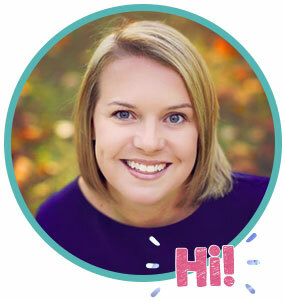 I have some AWESOME resources to help me with this theme. First I used Kathleen's Monster Manner's unit. It is free in her store (click on the picture below). 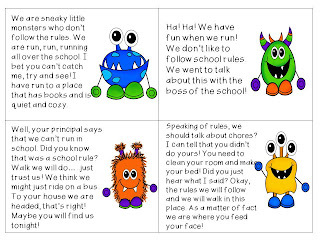 I read the story A Monster Goes to School. 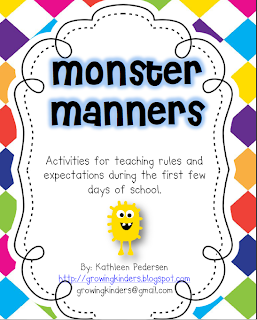 It is so cute and talks about how the monster can't follow the rules and doesn't have manners. 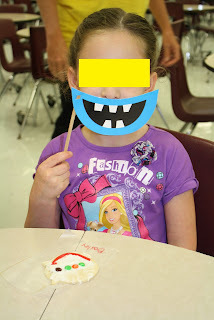 This led into discussing our class rules and behavior management system. It was so cute and they loved it! 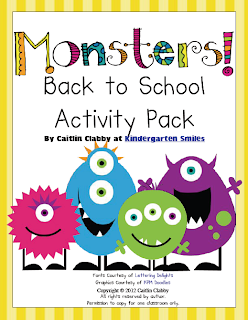 We also used Caitlin's Monsters! Back to School pack! SOOOO fun! She has some SUPER coloring sheets (because we gotta have something to do when they come in the room). This little reader was really cute too! 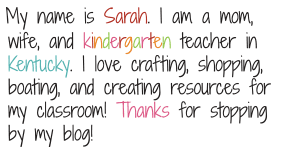 We also used a freebie from Caitlin on glue dots. After they practiced making the perfect glue dot, they got to sprinkle glitter. FUN! 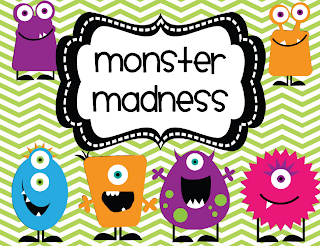 I also used Danielle's Monster Maddness Math and Literacy Unit. 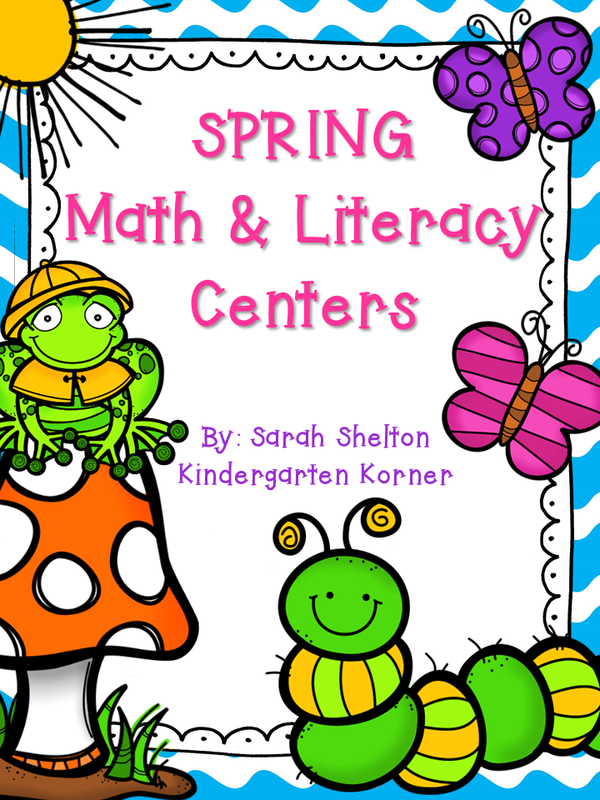 It has the cutest math activities (which my kiddos LOVED...especially the playdough mats). 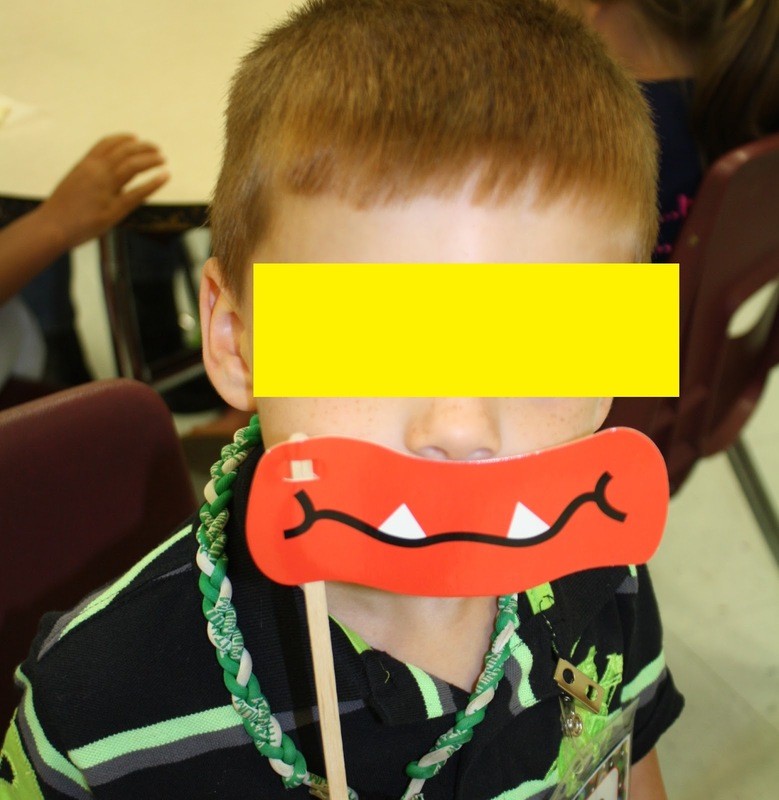 They also loved gluing eyes on the monsters. To get the student's using Bingo Dotters, we did this fun (free) Roll and Dot activity from Little Miss Kindergarten! Now, since I have always done The Gingerbread Man, made cookies, they ran away, we went on a hunt for them, etc, etc, etc....I wanted to do that again. It is so much fun and they love it! So...we did! 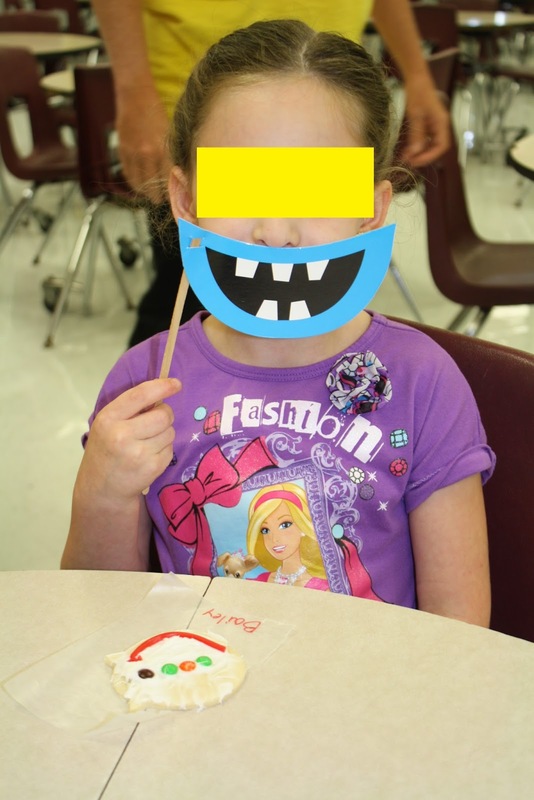 We decorated and made Monster cookies. They put mini M&M eyes and licorice mouths on them. You won't believe what happened next! We went to show them to the principal and they jumped off the tray and starting running. In the halls! So....on a hunt we went. Unfortunately, the cookies ended up going to their houses for the night and we didn't find them until the next day! There were some sad kiddos and some crazy stories about how we should call the cops! They are so funny! 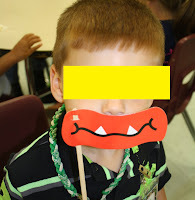 If you want to do the same, click on the pictures below for the Monster hunt hints and the coloring sheet to tell the parents to play along and look for them at home! Oh! And I found the cutest monster mouths for pictures at Hobby Lobby. They were in the party theme section! I loved them (and so did they!) These pictures will go in their scrapbook I make for them! I'm nervous about a FULL week of school. I was in bed by 9:00 every night. May have to move it up to 8:00 next week!!! So cute! Thanks for sharing. Our first week is a full one. I'm sure I'll be in bed early, too!